A perfect party food or apt on a movie night date with your loved one. Nacho’s being my favourite, I find different ways of making it interesting. The most regular way of having nachos is loaded nachos. I top it with loads of fresh salsa, refried beans, cheese and shredded chicken. 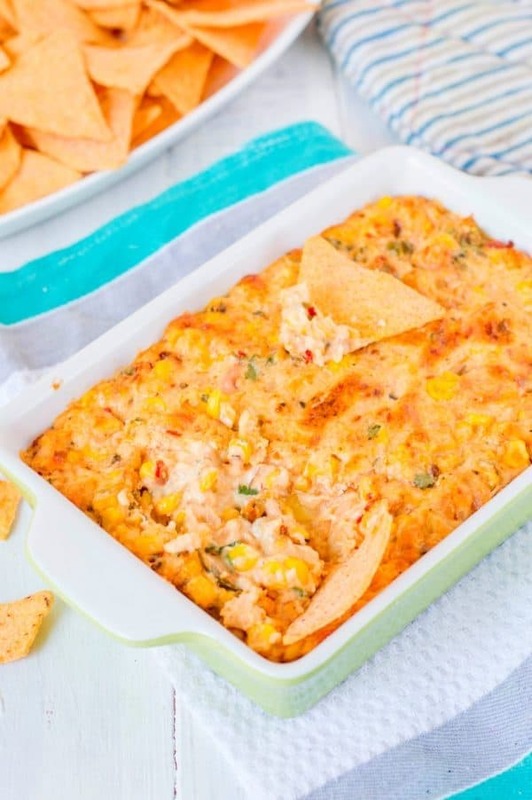 While browsing through pinterest, I came across some interesting dips. They really look sinful. 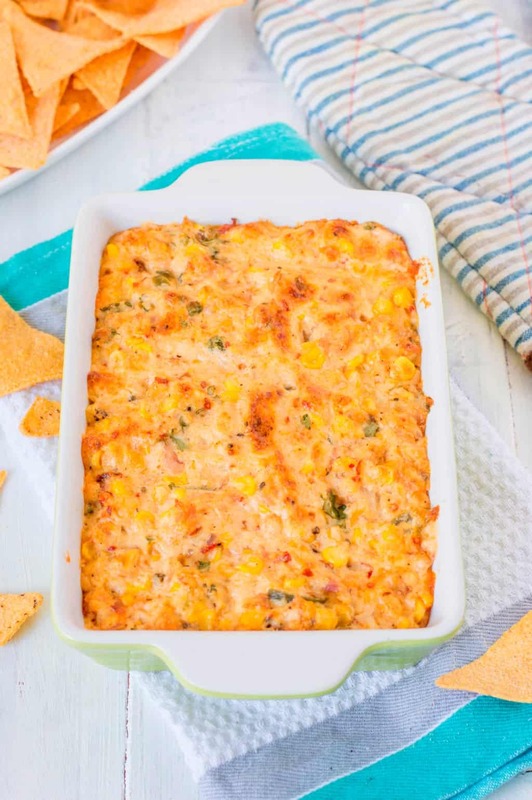 Came across this yummy looking Spicy corn dip. My first reaction was ‘Wooww’. I instantly new that I am going to make this.Though I compromised on the cheese part, it was delicious nevertheless. Prepared this on a weekend. Family, Movie and bowl of nachos with this dip, our weekend was sorted. We just started digging into the dip and in no time it was licked clean. In a pan add butter. Add couple of drops of oil(to avoid butter from burning).Add minced garlic. Once the garlic starts brown,add chopped onion. Cook till onion looks transparent. Add red bell pepper and corn, saute till it is soft and looks transparent(roughly for 5 minutes) . Remove from heat and keep aside. In another bowl add cheeses, mayo,sour cream,hot sauce,cilantro, salt,black pepper,chilli flakes (if using). Add sauted corn and onion mixture.Mix well. Pour the mixture into an baking dish. Bake for about 20 to 25 minutes, or until the top is golden brown and the edges are bubbling. Serve hot out of the oven with nachos/chips/chopped veggies. gooey cheesy dips – so so yum! I can lick my screen off.